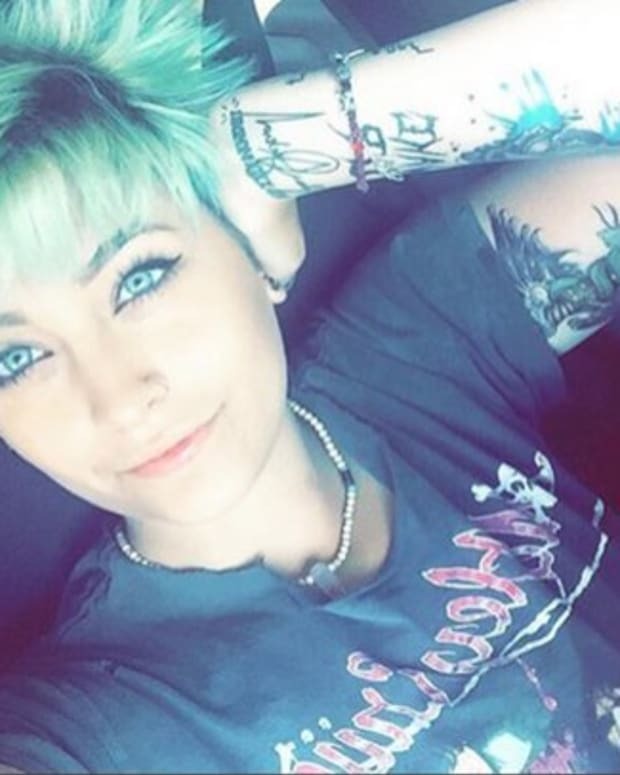 Paris Jackson, daughter of Michael Jackson, got two new tattoos in just 24 hours. 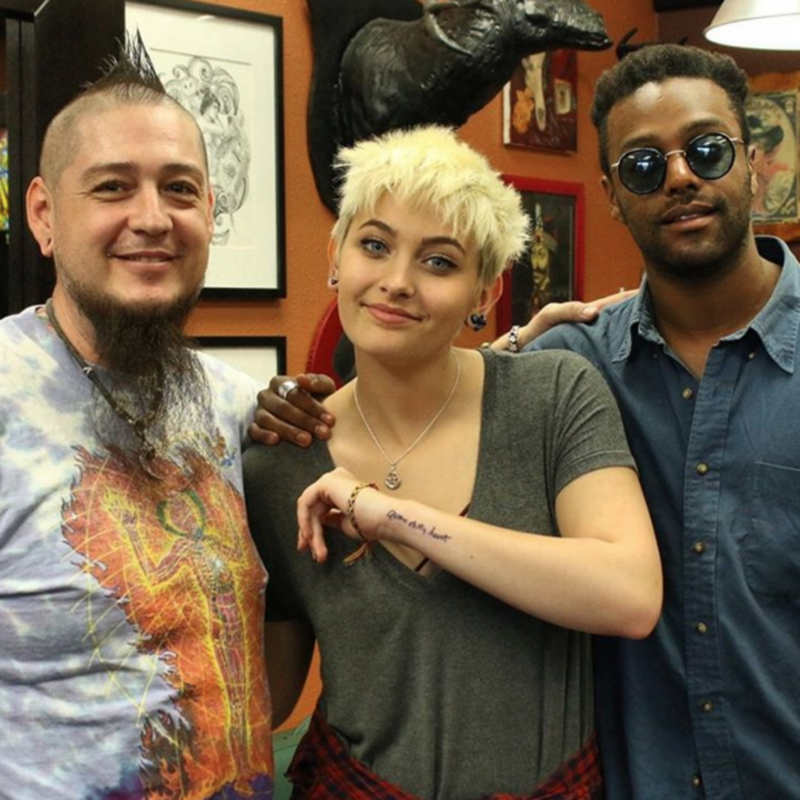 The pixie-cut blonde could hardly wait to get some ink after celebrating her 18 birthday on April 3. We feel your pain, lady! 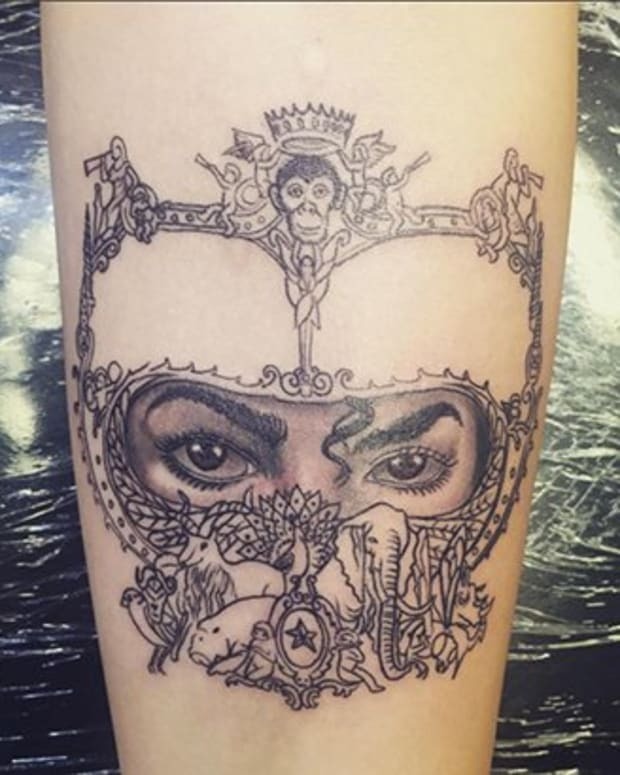 The first of her two new tattoos came from Justin Lewis of Timeless Tattoo 738 in Los Angeles. Lewis inked words from Paris&apos;s late father, "Queen of My Heart," written in her dad&apos;s handwriting, on the outside of her left wrist. 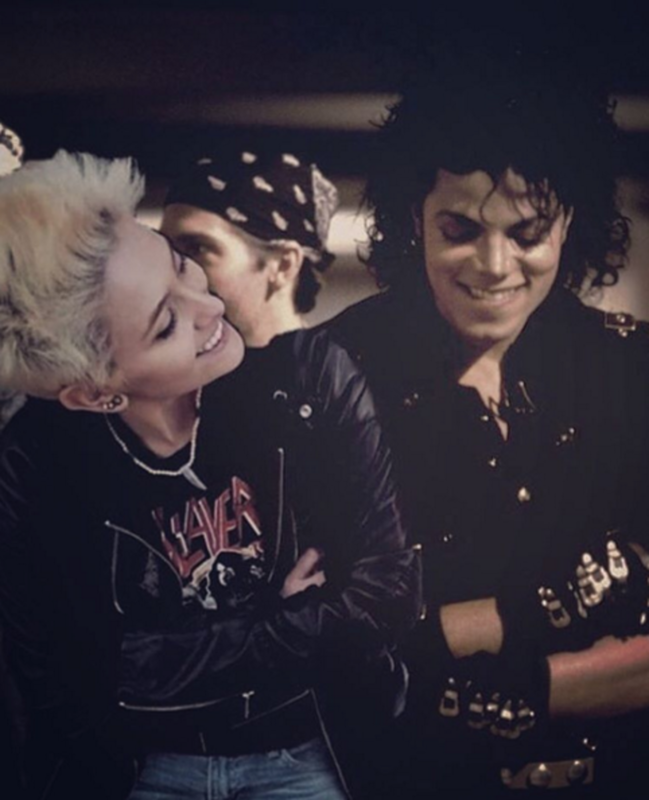 "To everyone else he was the King of Pop," Paris captioned her Instagram post. "To me, well, he was the king of my heart." Paris also thanked Lewis, writing, "you&apos;re a legend." 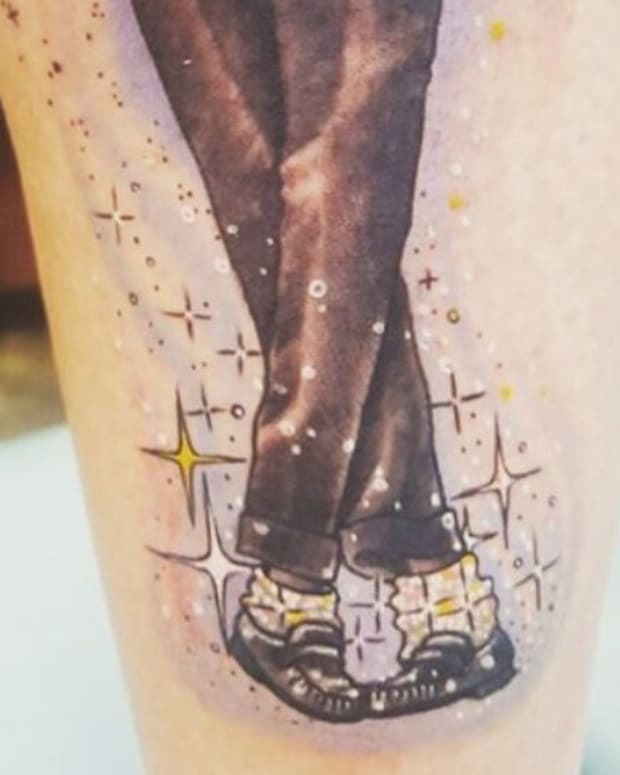 At 2 am on April 7, Paris uploaded another photo to Instagram thanking "the ink goddess" Hillary Santagata for a lotus flower tattoo on that same wrist. This time, the ink is on the inside. Beneath the lotus flower reads "Kǎisèlín" for her grandma Katherine. Paris wrote, "Love you, G-Ma." Santagata also posted a photo of she and Paris together, "Had the esteemed privilege of getting to tattoo the most incredible and beautiful soul." 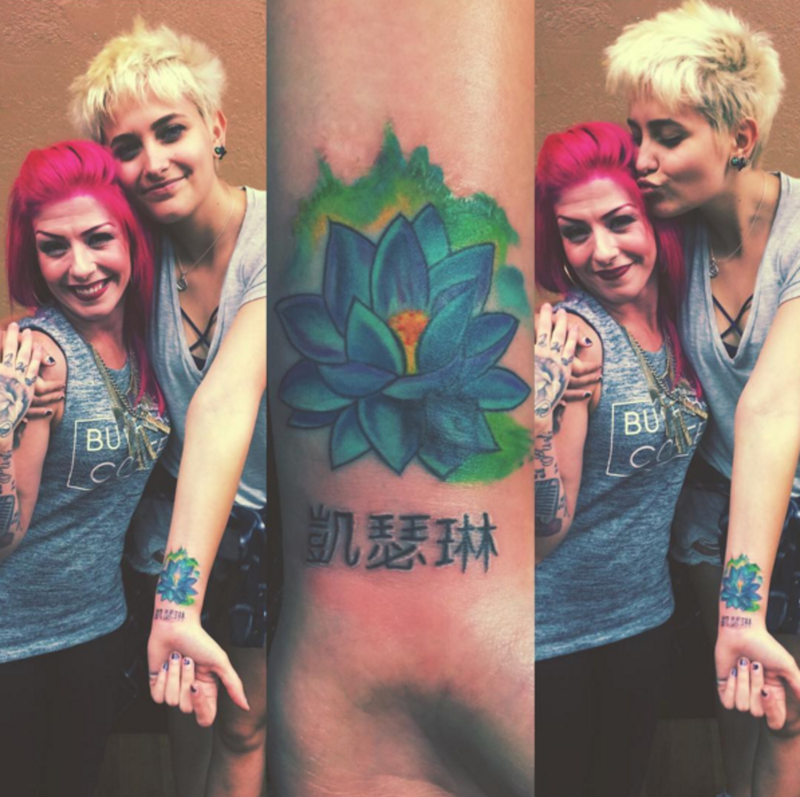 The pink-haired tattooer also wrote that tattooing Paris was an honor, "Can&apos;t wait for more adventures with u my luv." 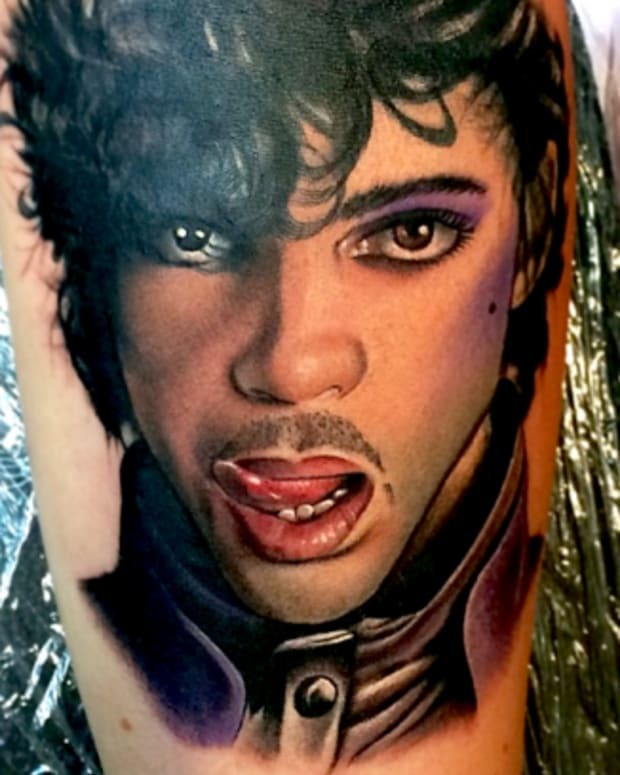 Austin Brown, Paris&apos;s cousin, accompanied the King of Pop&apos;s second child to both of her tattoo sessions. Paris has not been one to shy away from emotions regarding her father&apos;s death. She often takes to social media to share photos of the short-lived superstar. 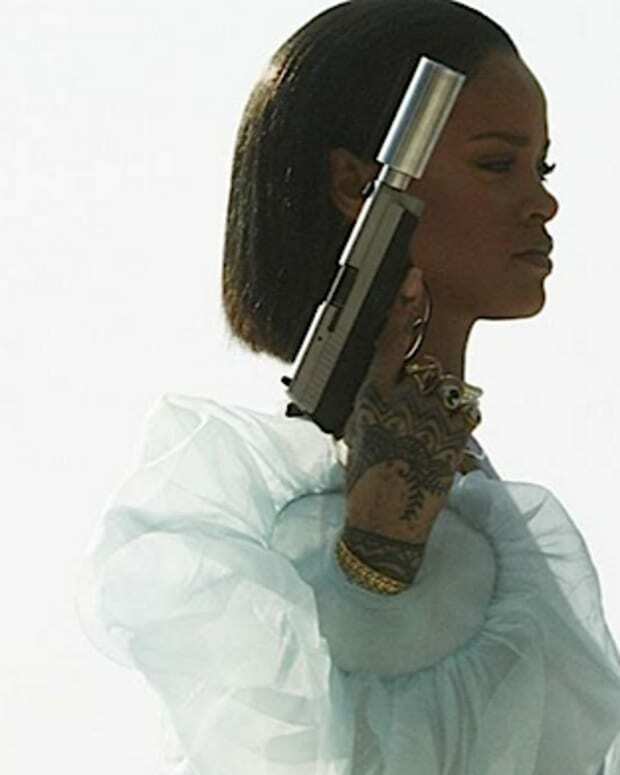 In 2012, Paris tweeted her plans to honor her dad with a Roman numeral tattoo on her back. She wrote she&apos;d get XXIX in honor of his birthday, August 29, 1958. The then 14-year-old received lots of backlash from fans. We&apos;re excited to see the young star is so eager to be inked. Keep adding to that collection, Paris!